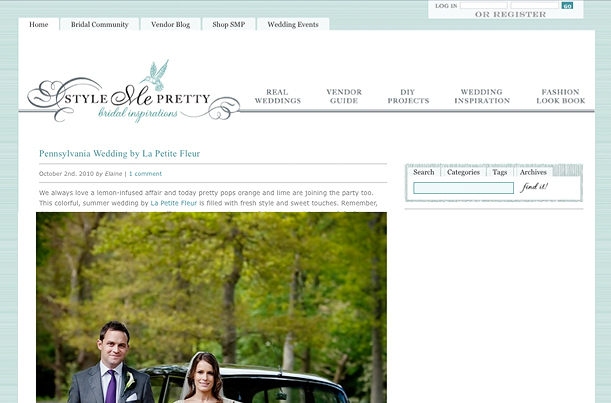 Style Me Pretty “The Ultimate Wedding Blog” has to be one of the most popular and well known wedding planning blogs in the entire world. We where featured on this weekend’s weddings and it’s all thanks to one of our gorgeous couples Sarah & Niall who had a sophisticated, vintage English Barn Wedding at the well suited GATESTREET BARN in Surrey. Congratulations!They’re one of my favourites too!